Wow, wow, wow. What a year, to be honest I can not believe the last year of my life. You see I thought I had it sussed. I have a wonderful Husband and children, happy family life, fantastic friends and a great career. But there was always that niggle in the back of my mind. My childhood dream was to be writer, that and a hairdresser. I had achieved one but not the other. The other was stopped dead in its tracks by a horrific teacher, now I am a teacher myself I know she was the worst sort of teacher, a dream crusher. And that is exactly what she did with my dreams. Yet here I am writing a blog, I have my own little section of cyber space and I love it. Not only do I love it, but I have had some of the most wonderful opportunities and experiences. Firstly I must mention the wonderful friends I have met along the way, my first two blogging friends one of who I still haven’t met are the lovely Kate and Maria. Maria and I started blogging at a similar time and have supported each others blogs along the way and Kate’s was one of the first blogs I started reading, which gave me inspiration to take that step. Then my lovely friend Lisa started blogging so I had a blog buddy, someone to bounce idea’s off a chat about blogging when Chris had lost the will to listen to any more blog talk. Then I went on to meet a group of lovely ladies who have become true friends, who I chat online to daily. When I started my blog it never entered my head that I would meet friends, yet here I am 10 months later with a circle of friends who I can’t imagine not having in my life now. 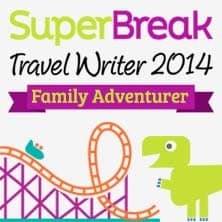 In July we won the title of Superbreak Family Adventurers 2014, with my Disneyland Paris post. I was so overwhelmed ad excited. I have also won tickets to blogfest and vouchers. This alone was all incredible. I was so proud to have a couple of posts published on Diabetes Uk, as Jack lives with type 1 diabetes raising awareness is so close to my heart, and something I always hope to contribute towards in some way. 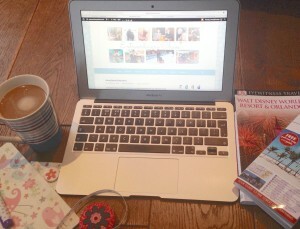 Then in September the lovely Helen from Actually Mummy gave me a mention on The BritMums New Bloggers round-up, what an honour that made my day if not month. I have attended some amazing conferences. Blogcamp, Britmums Live and Blog Fest, all so different and so inspirational. I have learnt so much from some truly amazing inspiration people. I have worked with some incredible brands, brands that I feel honoured to have worked with. We have been to film previews, had some of the most amazing experiences. Yes I know I am so so lucky eeek. Then came the wonderful news that we as a family had been chosen to become the Q Hotel Family Ambassadors. A title I am so honoured to receive, I still have to pinch myself to believe we were chosen, and so excited about our Q Journey ahead. The dealings we have had with Q so far have been wonderful, they are the most amazing and generous brand to work with. What a year, and what an incredible journey. I still can’t believe my luck. I am living the dream, I am writing, that in itself is enough, but the benefits that have come with it are just endless and a tad overwhelming. All those wonderful new people and experience that blogging has opened doors too. Thank you 2014 you have been good, if not very, very generous to the Christie’s, we have had an incredible healthy, happy and fun year. So pleased for you … so exciting and encouraging. I’ve only just recently starting my blogging journey and it’s as scary as it is exihilarating. It’s wonderful to read about when things go well and blogging surprises are such lovely surprises. I probably passed by you at blogfest this year, I won my ticket to it the day before and didn’t even have a blog when I attended. Perhaps see you at some of the blogging conferences next year. Cheering you on into 2015 and all the very best with your ambassadorship. You are one of my highlights of 2014 and I just know you have so many new adventures in blogging coming your way. A fab year indeed. Hope 2015 is as kind.